New Doctor Who audiobooks based on the upcoming all-new Target novelisations from BBC Books are set to be released later this year. 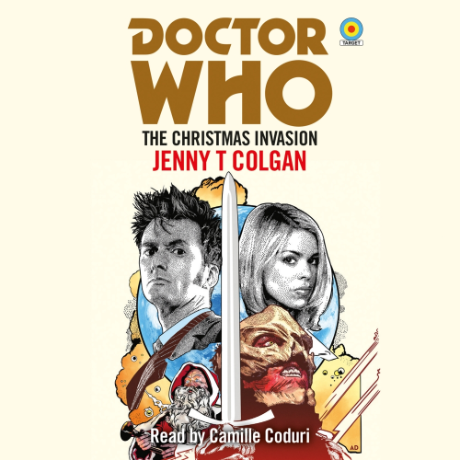 The three new audiobooks, out in the summer, will be unabridged audio editions of new novelisations of three landmark episodes post-2005 – Ninth Doctor debut Rose, Tenth Doctor debut The Christmas Invasion, and the show’s 50th anniversary special The Day of the Doctor. Both Rose and The Christmas Invasion will be read by Camille Coduri, who appeared in both episodes as companion Rose Tyler’s mother, Jackie. 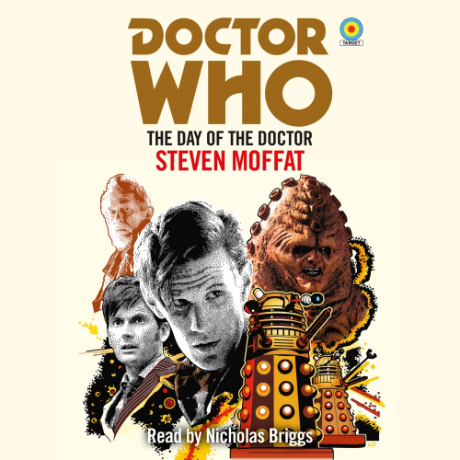 The voice of the Daleks, Nicholas Briggs, will take on reading duties for the third audiobook, The Day of the Doctor. Camille Coduri reads this brand new novelisation of the Ninth Doctor’s debut TV adventure. Camille Coduri reads this brand new novelisation of the Tenth Doctor’s first adventure. An unabridged reading of the brand new novelisation of the spectacular 50th anniversary TV episode. All three audiobooks are now available to pre-order ahead of their release on Tuesday 19th June. No details as yet have been released regarding audiobooks for the remaining two upcoming Target novelisations. Twice Upon a Time, last year’s Christmas special and the Twelfth Doctor’s swansong, has been adapted by Paul Cornell, whilst James Goss releases his second novelisation of the Fourth Doctor adventure City of Death, one of the few stories not to be adapted by Target during the original run of novelisations between 1973 and 1994. 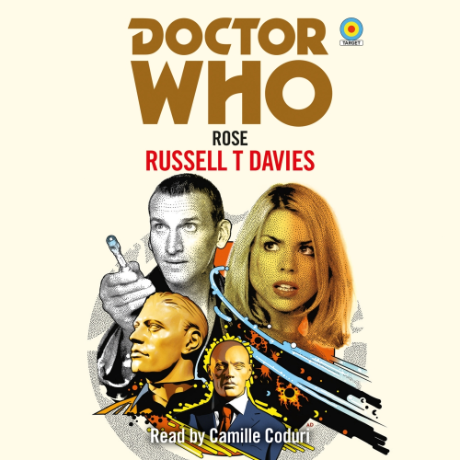 The latter, however, is already available as an unabridged audiobook of Goss’ 2015 novelisation, read by Lalla Ward. All five new Target novelisations will be published on Thursday 5th April, and are now available to pre-order. To mark the launch of the new novelisations, Forbidden Planet will be hosting a special signing event at its London Megastore on Friday 13th April. 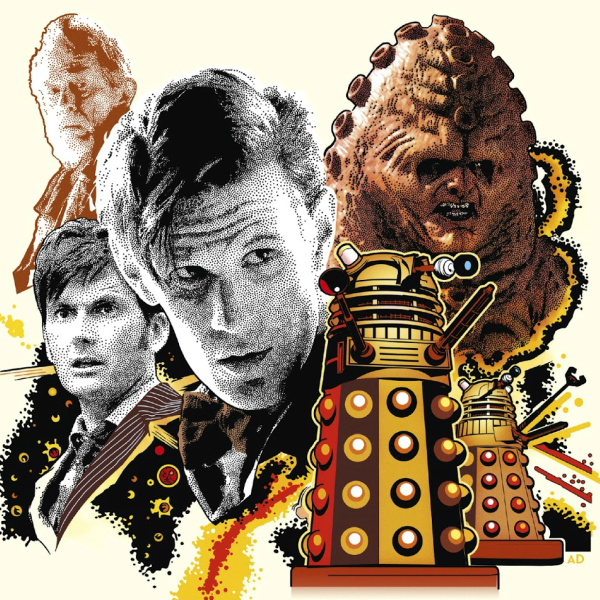 As well as cover artist Anthony Dry, all five authors of the new novelisations – Russell T Davies, Steven Moffat, Jenny T Colgan, Paul Cornell, and James Goss – will be present.